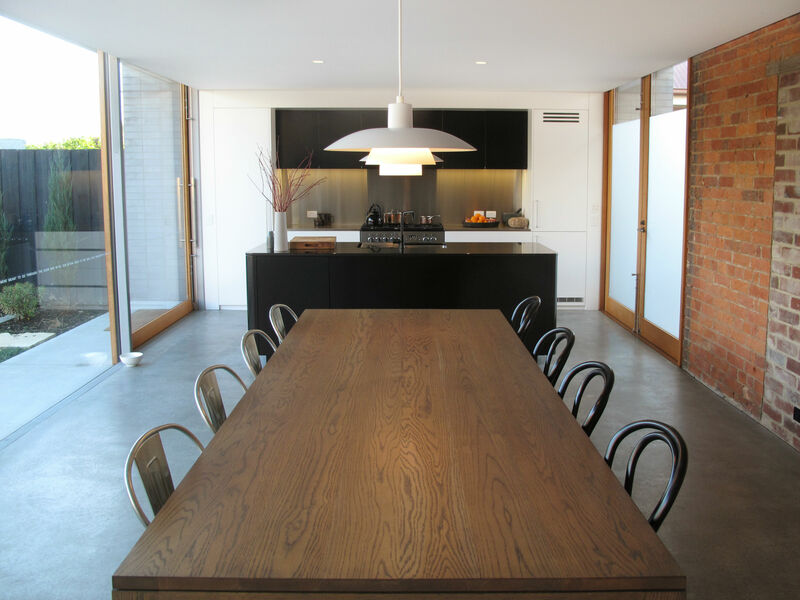 In2construction Services were specifically chosen as the builder on this project for their attention to detail, craftsmanship and sensitive approach to customer needs. 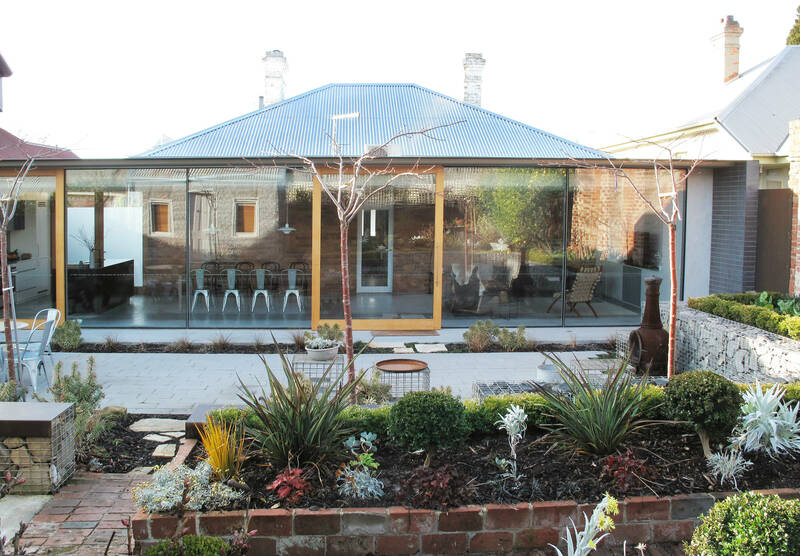 The project started out as a Heritage Registered dwelling located in the beautiful Battery Point. 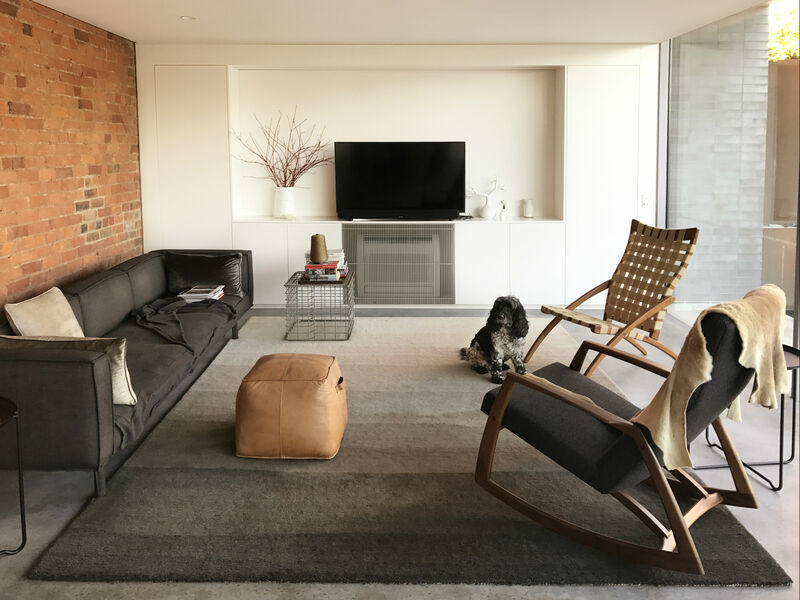 The four room, red brick cottage with a weatherboard lean-to at the rear, has been altered to showcase the existing redbrick structure with a modern; generously glazed, steel, semi burnished concrete and masonry addition. 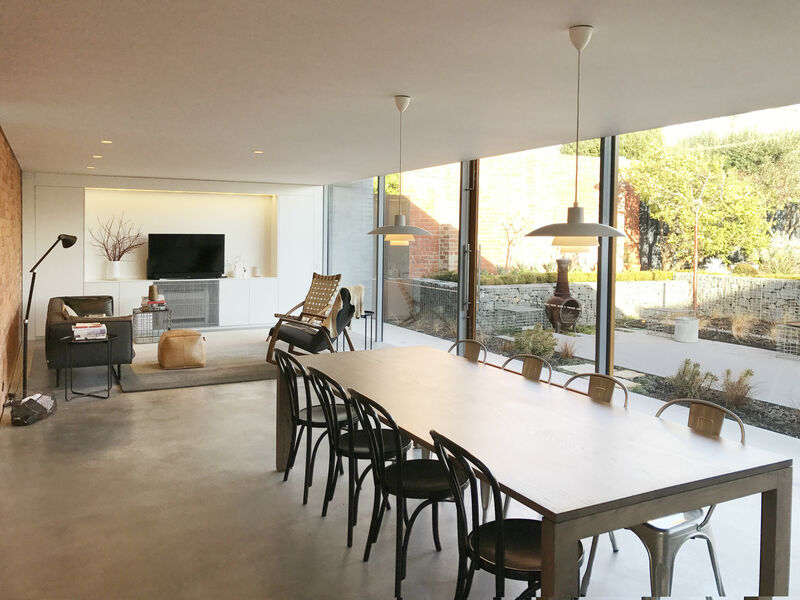 Within the double-glazed addition, you will find a contemporary kitchen, dining and living room. Running across the site, meeting opposite boundaries. This addition encloses the back yard creating further privacy to this symmetrically programmed east facing outdoor space. It has been designed in respect of a verandah space or threshold, with a strong connection between inside and out. 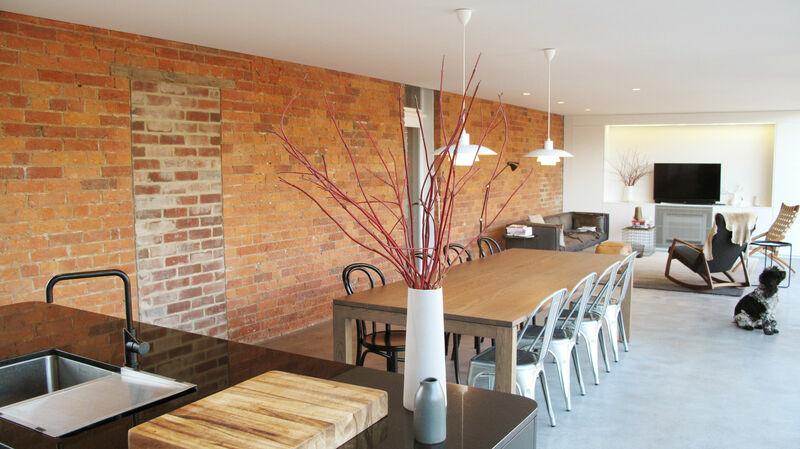 The extensive glazing frames allows the original brick external walls to utilize the eastern morning sun to act as a thermal mass. This is an asset for the client in energy efficiency. The use of quarry tiles tie in well with the garden gabion walls selected by the client.